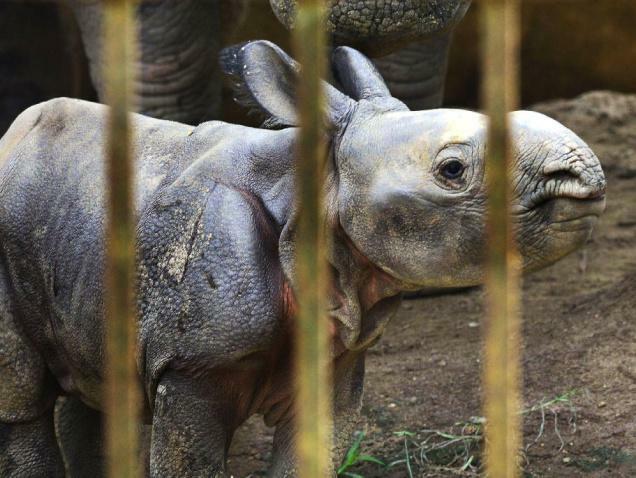 Baby rhinoceros in ex situ conservation programme. Photo by Ritu Raj Konwa, TheHindu.com. markedly colonial forms. For instance, huge effort and resource has been invested in the collection of comprehensive data on existing species, as reflected in projects such as the IUCN’s Red List and the ‘Encyclopedia of Life’. These projects employ the distinctly colonial strategy of using taxonomic knowledge to subjectify and control the Other (see, for instance, Said 2003). Indeed, the objective of these data collection programmes is to support biopolitical efforts to ‘make life live’, or, in Achille Mbembe’s words, to ‘abolish mortality’. This goal is most directly reflected in ‘ex situ conservation’ programmes. In these contexts, life forms classified as endangered are entered into global breeding programmes and made to reproduce in ways that are often indistinguishable from coercion (see the work of Van Dooren and Chrulew). These strategies exemplify a colonial logic in which billions of beings are suspended between being and nothingness “dwel[ling] close to death” in a state of “half life” (Mbembe 2001). In this context, all life on Earth is imagined as wretched: driven to the edge of extinction yet (selectively) forced to remain in existence. What framework can one use to engage critically with these kinds of responses to mass extinction? On the one hand, they are clearly linked with the maintenance of boundaries, hierarchies, violence and power dynamics used to separate humans and other beings. From this perspective, they look like issues for posthumanist critique. On the other hand, the particular logics and strategies used in response to mass extinction owe much to the repertoire of colonial thought and practice, and therefore demand insights from postcolonial and decolonial thought. Engaging critically with responses to mass extinction seems to call for a form of engagement that synthesizes the two. And this is far from the only issue that makes such a demand. To name just a few, the logics and practices surrounding geo-engineering, synthetic biology, and space colonization all cry out for this kind of response. Why, then, do the two bodies of thought remain so separate? Rob Nixon and Graham Huggan have each helped to explain why proponents of environmental thinking and postcolonialism have been reluctant to join forces. For Nixon, US-dominated environmentalist narratives have traditionally clashed with the aims and ethos of postcolonial thinkers in several ways. For instance, he argues that where the former stressed purity (e.g. of ‘wildnerness’) and connection to place, the latter has tended to place more value on hybridity and cosmopolitanism. Moreover, he contends that the anti-humanist strains of some strands of environmentalism jar with the postcolonial commitment to humanism and equality. By framing certain groups of humans as ‘excessive’ (primarily in terms of population), they appear to reproduce the violent logics of colonial power. For his part, Huggan points out that environmentalism is viewed by some postcolonial theorists as yet another means for extending neocolonial forms of control. The example of colonial conservation, discussed above, does little to dispel this fear. From these perspectives, the orientations and normative commitments of the two approaches seem to pull in different directions. However, it is crucial to note that Nixon and Huggan are writing about environmentalism, and not posthumanism (for a brief introduction, see this post). Posthumanists might be environmentalists, or not – and vice versa. Rather than espousing a particular ideal of an ‘environment’ to be preserved, posthumanism does precisely what it says on the tin: it attempts to decentre and deconstruct dogmatic forms of humanism. While many variations of posthumanist thought focus on the relations between humans and other beings, they do not necessarily espouse the notion of an ‘environment’ (let alone ‘nature’). Instead, they are concerned with the boundaries and hierarchies constructed between beings, and with what these structures efface. However, for precisely this reason, the integration of posthumanism and postcolonialism might be an even harder sell. There are good reasons for posthumanists to engage with postcolonial thought in order to contest the erased histories and power dynamics that have entrenched exclusive norms of ‘humanity’ and its planetary dominance. In other words, it is quite logical to imagine decolonial or postcolonial posthumanist approaches, and some authors have already begun to elaborate them. For instance, Erika Cudworth and Stephen Hobden have shown how norms of ‘civilization’ underpin assumptions about a firm boundary between humans and other animals, and of the dominance of the former over the latter. Deconstructing these standards, they claim, denaturalizes claims about both the superiority of humans over ‘nature’, and of certain groups of humans over each other. In making this argument, Cudworth and Hobden call for the exploration of “new possibilities for humanism without the imperialist baggage of a civilising mission”. Nonetheless, their work seeks to unsettle the humanist ethos that lies at the heart of postcolonial theory. However, the central place of humanism in postcolonial theory prevents an easy reconciliation with posthumanism. This raises a crucial question: could there be a posthumanist postcolonialism? Moreover, are there good reasons for postcolonial theorists to adopt a posthumanist perspective? What’s in it for them? I want to argue that there are, indeed, very strong reasons for adopting this kind of perspective. Most importantly, posthumanist perspectives can help to resolve a perennial tension within postcolonialism: the tendency of humanism to entrench the conditions of dehumanization. Several of the key texts of postcolonial theory identify dehumanization as one of the primary tools of colonial rule. In his introduction to Fanon’s Wretched of the Earth, Jean-Paul Sartre contends that “violence in the colonies does not only have for its aim the keeping of…enslaved men at arm’s length; it seeks to dehumanize them”. Dehumanization is said to occur when biologically human subjects are socially constructed as any one of a range of nonhuman beings: threatening animals (lions, hippopotami, ants, gorillas, even zombies or tribal masks) (Mbembe 2001); ‘things’ (Césaire 1955); or ‘vegetal’ forms (Fanon, 1963) that can be harvested like the ‘fruits of the trees’ (Arendt, 1976). Moreover, Aimé Césaire contends that dehumanization applies not only to the subjects of colonialism, but also redounds onto the colonizers. As he puts it, “colonization…dehumanizes even the most civilized man”. 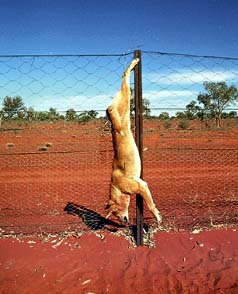 ‘Dingo-proof’ fence, Australia – a literal expression of the boundary between humans and other animals. Photo by James Woodford Sydney Morning Herald. As I have argued elsewhere, dehumanization functions only when it is possible to posit a sharp boundary between the onto-ethical category of ‘humanity’ and everything else in the universe. In order for it to be effective – that is, in order for dehumanizors to get other people to treat another being as ‘dehumanized’ – two conditions must be in place. First, there must be a widespread belief that anything that does not fit the normative criteria of ‘humanity’ has no ethical standing and can be disposed of with impunity. It is only on this basis that dehumanization functions as an expeditor and justification of violence. Second, it must be assumed that there is a firm boundary separating ‘humans’ from ‘nonhumans’, and that simply categorizing a being on one side or the other is enough to determine its onto-ethical status. As Samera Esmeir puts it, this logic underpins “the idea that humanity can be given or taken back”. In short, the functionality of dehumanization utterly relies on the positing of a firm boundary between humans and other beings. One of the most important normative tools of postcolonialism is to assert the humanity of the oppressed in the face of the peoples and structures that would dehumanize them. For instance, Fanon interpellates colonial subjects to ‘rehabilitate mankind’ by demanding their rightful membership in the category of humanity. Similarly, Said undermines the claims of dehumanizing colonial logics by invoking universal humanism based on shared rationality. Yet their calls have ironic consequences. Paradoxically, by asserting one’s ‘humanness’, one entrenches the set of beliefs that renders it revocable. There are several ways of countering the logic of dehumanization without entrenching its basic onto-ethical principles. One is to invoke a transcendental notion of ‘humanity’, rooted in a divine realm that is not subject to the transformations and manipulations of human agency. This type of belief underpins Christian (and other transcendental) systems in which humanity is endowed by the divine. This kind of argument helps to address the second condition of dehumanization: the belief that humans (or their social structures) can invest or divest beings with humanity. However, it may also entrench rigid and timeless norms of ‘humanity’. And, as Neta Crawford has argued, it is the ability to extend or otherwise alter the boundaries of ‘humanity’ that has enabled the recognition of the ethical standing of many peoples. A posthumanist account, on the other hand, offers an immanent means for addressing this problem that retains, in fact affirms, the fluidity of being and becoming on Earth.This approach rejects both of the conditions of dehumanization, undermining its possibility. It requires embracing the idea that there is no such thing as a ‘pure’ human – just as there is no such thing as a ‘pure race’, or ‘untouched nature’. Esmeir identifies the embryo of this idea in Fanon’s Wretched of the Earth. He argues that dehumanization (and (re-)humanization) will always be partial processes, “because the nonhuman coexists with and within the human”. The force of Fanon’s argument lies in the assertion that a being can retain its ‘humanity’ – that is, its ethical core – even when the boundaries between it and other forms of being are dissolved. Adopting this orientation would involve recognizing the multitude of ways in which human beings are entangled and co-constituted by other beings – animals, plants, metals, machines, and matter of all forms. Crucially, recognizing the entanglement of humans with other beings does not mean yielding to attempts to degrade the status of humanity. On the contrary, as Jane Bennett puts it, recognizing the liveliness of all matter not only minimizes differences between objects and subjects, but elevates all materiality such that “all bodies become more than mere objects”. In such a context, it would be nonsensical to claim that a being was disposable or inferior simply on the basis of its being ‘non-human’, and the rug would be pulled from underneath the logic of dehumanization. I want to be very clear: this argument is not intended to let perpetrators of dehumanization off the hook, or to downplay the violence that their actions involve. And I am certainly not advocating that the targets of dehumanizing violence accept or capitulate to these violent acts. On the contrary, I am arguing that they can radically neutralize the process of dehumanization by removing the basis on which it operates. Dehumanization functions only insofar as people believe in its effectiveness – that is, to the extent that they accept the two conditions discussed above and act accordingly. A posthumanist postcolonial approach makes it possible to undermine this logic. There are multiple other ways in which posthumanism and postcolonialism could be fused in mutually strengthening ways. In fact, this would be less a matter of joining separate discourses than of drawing out existing affinities – or, simply put, following through key principles of each discourse to their logical conclusions. There are a few obvious starting points for such a project. First, one of the most important values of postcolonial thought is the recognition and embrace of heterogeneity. As Gayatri Chakravorty Spivak argues, “the colonized subaltern subject is irretrievably heterogeneous”; it is figured as a homogeneous mass only by the essentialist, taxonomic categories imposed upon it. Indeed, Chandra Talpede Mohanty contends that subaltern groups such as ‘women’ are constructed on the basis of a perceived common experience of oppression. These arguments are mirrored in Jacques Derrida’s treatment of the ‘animal’: a category used to homogenize an almost unthinkably diverse set of beings, and to construct them through their shared subjection to industrialized violence. Each of these approaches acknowledges the violence of erasure and homogenization enacted by ontological categories, whether the distinction between ‘subaltern’ and colonizer, ‘man’ and ‘woman’, or ‘human’ and ‘animal’. But instead of arguing for the inclusion of the second term in each pair within the first, these approaches call for the celebration and expression of diversity. In the same spirit, Césaire rejects a both ‘narrow particularism’ and ‘disembodied universalism’, seeking a “universal rich with all that is particular…the deepening of each particular, the coexistence of them all”. These ideas are mirrored in Isabelle Stengers’ notion of ‘cosmopolitics’, which involves involves attending to the multiple, diverse and constantly transforming beings that constitute the cosmos. Although it does not advocate treating each being as equal (normatively or ontologically), it insists on acknowledgement and responsiveness to modes of being that do not necessarily fit with a universal ideal or common form of measurement – for instance, the category of ‘humanity’. Crucially, this includes finding ways of attending to the “shadows of that which does not have, cannot have or does not want to have a political voice” (Stengers 2005, 996). In a context in which the subaltern is too diffuse and heterogeneous to ‘speak’ as a unified subject, it is necessary to engage in “measuring silences” (Spivak 1985, 92). Indeed, Stengers argues that, in a cosmpolitical context, all beings can ‘force thought’ in a manner similar to what Homi Bhabha has called ‘presencing’. That is, they can slow the universalizing process by unsettling existing assumptions, boundaries and patterns of political action. Drawing on this principle, a posthumanist postcolonial ethos can cultivate responsiveness to the multiple forms of presencing. Instead of pursuing a humanism made to the measure of the human world, cosmopolitics calls for an ethics responsive to the universe in all of its heterogeneity. Various postcolonial positions also call for a relational ethics across the boundaries that define ‘humanity’. They encourage genuine forms of ‘contact’ (Césaire 1955) not based on violence and subjugation, but instead generative of “solidarities across class, race and national boundaries” (Mohanty 2003, 19). A posthumanist postcolonial ethos would involve extending these affinities and connections across the boundary of species and forms of being. Mbembe (2001) recognizes how colonial violence encompasses a range of humans, plants, animals and objects. Indeed, he argues that colonial violence annihilates subjects by forging a “close connection, both venal and convivial, among slave-being, animal-being, native-being, and thing-being” (Mbembe 2001, 240). In other words, colonial power does not only makes slaves of humans, and animals of slaves, but also slaves of animals and so forth. This is a mode of ‘being-together’, but not of ‘existing together’ (Mbembe 2001, 27) in the sense of recognizing the other as a full participant in being. A crucial means for resisting this kind of negative conviviality would be to convert it into a positive form, as Donna Haraway’s recent work suggests. This entails cultivating a sense of responsiveness and accountability to the other beings with which humans interact – not by humanizing them, but rather by understanding the multiple ways in which we cohabit with them. For Haraway, living well with others does not involve aspiring to an impossible ideal of nonviolence. Instead, involves cultivating a “responsible relation to always asymmetrical living and dying, and nurturing and killing” (Haraway 2008, L751- 759). 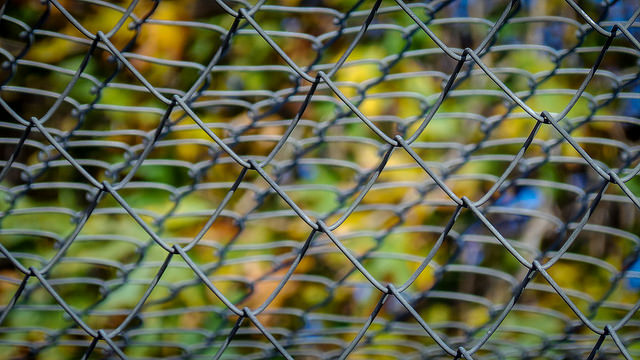 This, in turn, demands a form of ‘becoming-with’ as ‘becoming worldly’: building sites of attachment with other beings, and tying ‘knots’ which bind humans into patterns of “response and regard that change the subject- and the object” (Haraway 2008, L4588). In other words, Haraway calls for the diametric opposite of dehumanization and its boomerang effect: a mode of interaction in which each being is enriched in its trajectory of becoming through contact with the other. As this brief discussion has suggested, there are numerous shared nodes of postcolonial and posthumanist thought. Cultivating them would not involve ‘exporting’ ideas from one into the other, but rather on amplifying existing resonances. At its root, this is a move to recognize not only shared aims, overlaps or similarities, but rather the fact that both bodies of thought contest and struggle against the same logics, violences, structures and repertoires of action. Although I have analyzed the issue in terms of ‘postcolonial posthumanisms’ and ‘posthumanist postcolonialisms’ to reflect existing perceptions, I don’t intend to suggest that either approach should dominate. What I am proposing is a mutual co-extension , of postcolonial thought and ethics beyond the boundaries of the normatively ‘human’, and of posthumanism into the realm of global ethics. Even better, a decolonial ethos that centres Indigenous and other non-Western cosmovisions that do not rely on Cartesian dichotomies, holds huge promise (more on this to come…)This kind of approach can better equip us to confront an Anthropocene epoch in which ‘humanity’ and colonial power are increasingly conflated. This entry was posted on Thursday, February 26th, 2015 at 5:39 pm	and tagged with animal studies, anthropocene, applied ethics, biology, conservation, dehumanization, extinction, postcolonial theory and posted in animals, anthropocene, anthropocentrism, extinction, global ethics. You can follow any responses to this entry through the RSS 2.0 feed.